I know this comes as unexpected news for a lot of readers, but I decided not to publicly announce the release beforehand just in case it was not possible on Christmas Day. The book – of which two translated editions are also in the works – have been published by the University of Management and Technology Press (UMT), Lahore. Today’s edition is published collaboratively by Libredux and UMT Press, and the same book will also be published in Pakistan by UMT Press in the coming months. The book is available at Amazon, both UK and US (not necessarily purchaseable yet) here. For further information, please contact me by email (address available at this site and at the SJ2 site). Merry Christmas, and Happy Quaid-i-Azam Day! To pass this news on, please hit the ‘share’ button below. Please allow me to write this email on a personal note, and speak straight from the heart. With my new book, I might be questioning our understanding of almost everything – I have myself experienced this paradigm shift due to the influence of Iqbal’s teachings, and now I’m sharing the crux of it all in my new book, Waheed Murad: His Life and Our Times. The book is the story of Iqbal’s literary movement after his death in 1938. We know that the dreams of this movement came true when Iqbal’s party gained a spectacular victory in the election of 1945-46, paving the way for the birth of Pakistan (including the present-day Bangladesh). We also know that every school of thought except one had rejected this goal within the first seven years of the country’s existence. In my book, I’m telling the story of the only school of thought that remained committed to the goal the nation had adopted under the Quaid. This school has been banished from our academic and intellectual life, and has been disinherited most treacherously. Therefore, this is not the story of a filmstar. It is your story. It is our story. It is about how our dreams, our ideals, and perhaps even our souls got stolen and how we still do not know. Where did they go? This is what I’m trying to answer in Waheed Murad: His Life and Our Times. The book is the result of my journey of discovery in the light of whatever I learnt from Iqbal. What I found in this journey, I’m sharing here with you, with a promise that after reading this book, your perception of Pakistan will change forever. 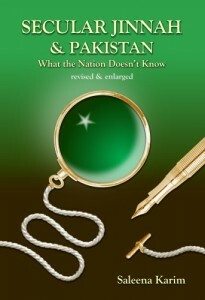 The book is now available in Pakistan through TCS, at their website (credit card is not needed). Special price of the Pakistani edition is Rs.300. It has been published by Libredux, who also published the UK-US edition last year, and is being distributed in Pakistan by Topline Publishers. I hope that you will enjoy this book. 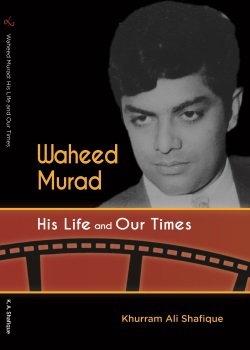 Libredux Publishing is pleased to announce a brand new title: Khurram Ali Shafique’s book, Waheed Murad: His Life and Our Times, which went into print yesterday (16 September 2015) and is already available at Amazon’s US and UK sites. It’s the second title in a series of three titled Visionaries for Our Times. 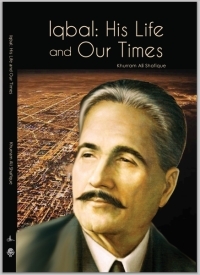 (The first of the series was Libredux’s previous publication: Iqbal: His Life and Our Times.) The third installment in the series, on the life of Cyrus the Great, will be released within the next year. Following from the themes of the first book, this is not merely a biography of Pakistan’s greatest film star. It’s the story of a visionary whose films aimed to reflect the ideals of Iqbal. Intro from the back cover follows. 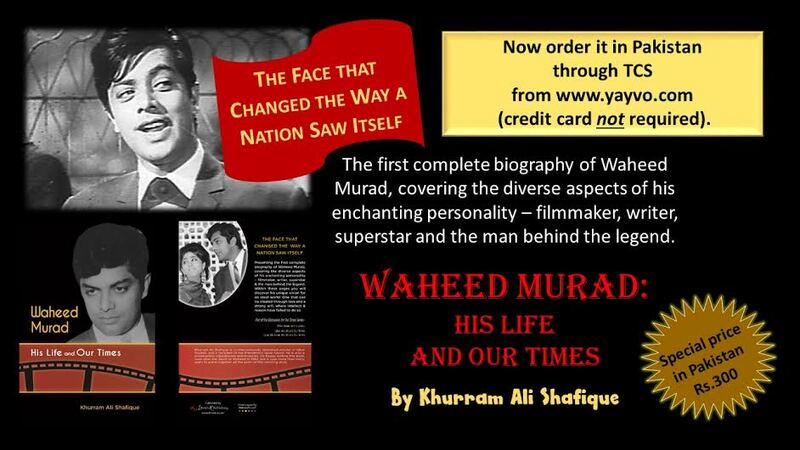 Presenting the first complete biography of Waheed Murad, covering the diverse aspects of his enchanting personality – filmmaker, writer, superstar and the man behind the legend. 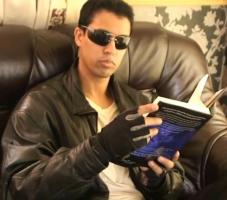 In these pages you will discover his unique vision for an ideal world: One that can be created through love and a strong will, where intellect and reason have failed to do so. Khurram Ali Shafique is an internationally renowned scholar of Iqbal Studies, and a recipient of the Presidential Iqbal Award. He is also a screenwriter, educationist and historian. He began writing this book soon after the death of Waheed in 1983, but it took more than thirty years to piece together all the parts of this amazing story. Today is your last chance to get 15% off Khurram Ali Shafique’s new book, Iqbal: His Life and Our Times. 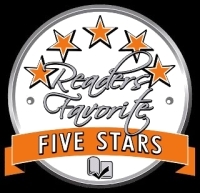 Order directly from this page (https://www.createspace.com/4780451) and use the code in red at checkout to qualify. Offer ends tonight at 8 p.m. (British time). (Reproduced with minor edits from my mailing list message dated today, 5 May 2014). Pass it on! As an update to my previous message, the UK/US edition of Iqbal: His Life and Our Times is due for release on Thursday 8 May at 8 p.m. British time. If you purchase a copy directly from CreateSpace in the first 72 hours, you will get a discount of 15% off the price (follow the instructions on that page). This discount applies to the US price but you will save money even if you are purchasing from outside the US (including but not exclusively Canada, Australia, UK and elsewhere in Europe). Don’t miss out! The general edition will be released in Pakistan soon – date to be confirmed. If you would like updates on the Pakistani release, let me know and I’ll put you on a temporary mailing list for the purpose. In the meantime, below is the introduction to the book by the directors of the Iqbal Academy and the ECO Cultural Institute, as taken from the author’s (Khurram Ali Shafique) mailing list and blog at the Marghdeen Learning Centre. Dr. Sir Muhammad Iqbal (1877-1938) is the only poet and thinker in the history of world literature who has been credited with the birth of a new nation and a new state. It is therefore very befitting that a handbook about his life and thought should be brought out by an organization comprising of ten member states. The Economic Cooperation Organization’s Cultural Institute (ECI) is pleased to bring out this publication jointly with Iqbal Academy Pakistan. In addition to his unique status in Pakistan, Iqbal also happens to be either a national poet or a household inspiration in several other countries including Iran, Tajikistan, Kazakhstan, Kyrgyzstan, Turkmenistan, Uzbekistan and India. In Turkey, his symbolic grave stands in the compound of the mausoleum of Maulana Jalaluddin Rumi. In the universities of Heidelberg and Cambridge, there are chairs or fellowships in his name. Roads, buildings and monuments have been named after him in other countries too, including Mauritius. Iqbal: His Life and Our Times fulfils the need for a simple and reliable introduction to the life and work of this unmatched genius, highlighting the practical relevance of his ideas for those who wish to consider them for implementation. The author, Khurram Ali Shafique, is well-known in the field of Iqbal Studies. The awards which he has received for his previous publications include the coveted Presidential Iqbal Award. The present volume includes many findings that are the outcome of the author’s original research. Of special interest to the general readers as well as the experts would be the evidence, presented here for the first time, which establishes a historical connection between the political ideas of Iqbal, the American thinker Mary Parker Follett and the Bengali visionary C. R. Das. We are hoping that this volume will offer much by way of looking at the present times from new avenues. It is shown here that the views expressed by Iqbal in his poetry and prose formed a coherent system of thought, and the same was implemented by him through political and social action. This is to dispel the myth which has been preventing a deeper understanding of Iqbal’s thought until now, i.e. the false but widely perpetuated assumption that the ideas presented by Iqbal were either inconsistent with each other or they kept undergoing such perpetual changes throughout his life that they cannot be considered for implementation in any other time. The system of his thought and its underlying principles are being presented here, perhaps for the first time. It is also being shown that in spite of its inner coherence, the system of Iqbal’s thought kept pace with the evolution of the collective life of his community. This evolution can be studied by dividing the intellectual life of the poet-philosopher into three stages: inquiry, discovery and transcendence. The duration of each stage has been established here on the basis of biographical and textual evidence, and the book has been divided into three chapters accordingly. Each of these three stages started in his mental life when his community adopted a new goal collectively. The goals, their relevance to the world and humanity, their implications for Iqbal, and his contribution towards achieving them are issues which are being discussed here in a fresh light. This may turn out be one of the most significant contributions which this book will make to the subject. If the nations of the world desire to come closer in their hearts and minds, they cannot ignore to learn about the ideas, emotions and visions of each other. The Economic Cooperation Organization’s Cultural Institute (ECI), formed through a charter at the third summit meeting of the countries of ECO held at Islamabad in 1995, aims at fostering understanding and the preservation of the rich cultural heritage of its members through common projects in the fields of media, literature, art, philosophy, sport and education. The present volume is being offered in line with this vision, and with the conviction that it is important for everybody to be informed about the ideas of Iqbal, since they may be counted among those cultural forces which have gone into shaping a significant part of our world. This conviction is shared by Iqbal Academy Pakistan, a statutory body of the Government of Pakistan, originally established through an act of parliament in 1951 and reinforced through an ordinance in 1962. The aims and objectives of the Academy are to promote and disseminate the study and understanding of the works and teachings of Iqbal. The Academy has been translating its objectives into action and activity through a number of measures including publication programme, IT projects, outreach activities, Iqbal Award Programme, website, research and compilation, audio-video, multimedia, archive projects as well as exhibitions, conferences, seminars, projection abroad, research guidance, academic assistance, donations and library services. We hope that the readers will benefit from the book which we are offering here jointly, and this will go a long way in achieving our common objectives. Comments on this post can be made directly at the website of Marghdeen Learning Centre. (Reproduced with minor edits from my mailing list message dated today 21 April 2014). Feel free to pass it on! It’s been a while since I last sent out a message to this list, and to many of my friends, I have been completely out of touch for a long time (for reasons that are not important here). For that I apologise. Today is the anniversary of Iqbal’s death, an annual day of remembering the poet-philosopher’s message and what it means not only for people in the Indian subcontinent but also humanity as a whole. Iqbal has been simultaneously been celebrated and misunderstood since the time he was alive, and numerous biographies have been written on him. I’m pleased to announce the imminent release of a new biography on Iqbal, of which Libredux Publishing is printing the UK/US edition. This was the unparalleled legacy of the poet-philosopher credited with birthing a nation and a state, and at no other time has the world been more ready to embrace his ideas than it is right now. The story of his mind, and what he taught, as told herein from a new and compelling angle, leads us on a trail of discovery towards a new way of life. You’re invited to approach this as a handbook for implementing his life-giving ideas. Written by a foremost authority on the subject, this is a tribute to Dr. Sir Muhammad Iqbal (1877-1938) by ten sovereign states: Afghanistan, Azerbaijan, Iran, Kazakhstan, Kyrgyz Republic, Pakistan, Tajikistan, Turkey, Turkmenistan and Uzbekistan are members of the Economic Cooperation Organization, whose Cultural Institute (ECI) has published this book jointly with Iqbal Academy Pakistan. JOIN US NOW AS IQBAL’S LEGACY CONTINUES TO UNFOLD THROUGH THE LIVES OF US ALL. Release date is yet to be confirmed, but it will be in the next couple of weeks. Stay tuned for updates. Postscript 26/Apr/2014 * Since the time of writing this, the line has been changed from The Splendour of Taj Mahal to The Message of the Quran. 2012 has been an extremely eventful year for me. At the beginning of the year I published Systems and launched this blog soon afterwards (18 Jan). I thought I’d write the odd post here and there, but so much happened this year that I never got round to sharing some of the news here. So consider this post a roundup of 2012, with the previously untold news thrown in. On 2 July, Systems (and its trailer) first became a part of a course (rather aptly, The Wisdom of Moses* course) at the Marghdeen Learning Centre, an associative educational body of Iqbal Academy Pakistan. By 11 October, with the commencement of the course on Biological Unity, Systems attained a permanent part of the reading material, alongside Iqbal’s Reconstruction of Religious Thought in Islam and Khurram Shafique’s 2017: The Battle for Marghdeen (which was published by Libredux Publishing). Anyone who joins these courses gets a free copy of the novel. And Systems also made a brief appearance on the big screen, with the airing of my brother Shahid Karim’s Terminator spoof titled The Procrastinator at the Bang! Short Film Festival in Nottingham on 24 November. * In Systems, Prof. Omar is very loosely based on Moses. He is from Egypt, his son is named Aaron, and parts of the Systems story line allude to Moses’ exodus. And of course, E3 is based on the tyrants who were also Moses’ opponents in his time. Systems was published under the imprint name Libredux Publishing. I had no other plans for Libredux, but it also became the publisher of Khurram Shafique’s 2017: The Battle for Marghdeen on 14 August (Pakistan Independence Day) and also the co-publisher of two other titles shortly afterwards (below). This year saw the release of two titles edited and translated by myself and my father Fazal Karim: The Qur’anic System of Sustenance and Did Quaid-e-Azam Want to Make Pakistan a Secular State?, both authored by G.A. Parwez (1906-1985). Both titles were co-published by Tolu-e-Islam Trust and Libredux Publishing. At present, The Qur’anic System of Sustenance is also being turned into an audio book. My brother Shahid is the narrator. On 23 March this year this article of mine appeared in the Pakistani newspaper’s Dawn Special Report on the Lahore Resolution of 1940. This year I collaborated with the think tank PakistanFirst on a paper for an ‘alternative economy’, inspired by a model that was covered in Shahid’s news show Deliver! in 2009 (aired on Venus TV in the UK. See the clip from that show here). The paper is on the verge of release. 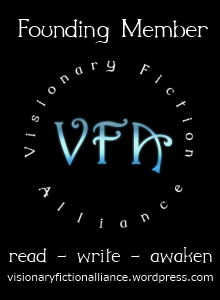 I and eleven other authors founded the Visionary Fiction Alliance (17 August), dedicated to promoting fiction of the kind that explores human potential. I’m now one of its admins. The story of how we came together can be found here. Most of you won’t know that I have taken part in a documentary on Dr. Iqbal’s philosophy, produced by the Iqbal Academy, Pakistan. Parts of it were shot in Cambridge. The filming of my part took four hours in a very hot room (it was the middle of July) but quite enjoyable considering that I have a total (and I mean, total) fear of public speaking. You probably won’t catch me in front of a camera again. The documentary is still in production and it should be televised some time in 2013. … And that’s just about everything. 4) Re-making of The Way: My brother’s first ever film, which can be described as having a visionary story line, is being re-made this year. I was the composer of its original soundtrack, and I’ll be the composer again for the remake. 5) More to come. Watch this space. 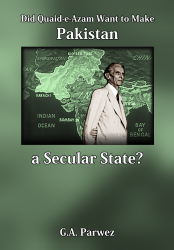 In my last post I announced the release of the book Did Quaid-e-Azam Want to Make Pakistan a Secular State?. I’m reproducing the foreword below, in which I explain how the book prompted me to write Secular Jinnah. But first, a note for those who are unfamiliar with the debate over Pakistan and are wondering about the title. Simply put, the word ‘secular’ in the above title is really a synonym for ‘materialist’. Many Pakistanis don’t differentiate between the two concepts, because they see materialism as the final outcome of separating religion (and its moral values) from state affairs. This is why many Pakistanis will say they have no problem with the concept of equality before the law (usually identified with a secular state) and yet won’t identify themselves as secularists. So, onto the Pakistan question. Pakistanis have never agreed over whether Pakistan was meant to be a ‘secular’ (materialist) state or an ‘Islamic’ one (that is, a religious state). In my books, I have tried to show that Pakistan (in the eyes of its founders) was not meant to be either a secular or a religious state, nor was it supposed to be a paradoxical mix of religion and secularism. So if it was none of the above, what was it? The answer can be found only when we understand what secularism and religion respectively mean. In short they are practically two sides of the same coin, in that one focuses on materialism, and the other on spiritualism. That makes both of them not so much wrong as incomplete. And yet we can’t complete them by combining them, because the two are also totally incompatible for reasons I need not go into here. At any rate, a combination or synthesis of religion and secularism is also impossible. In my books I have described a fourth possibility in line with the Quranic view of reality, which encompasses both the material and the spiritual simultaneously – not as two separate things combined, but, to borrow from Iqbal’s description of Islam, “a single unanalysable reality which is one or the other as your point of view varies” - a bit like the uncertainty principle in quantum physics. Parwez operated on the same matter-spirit oneness principle in his book The Qur’anic System of Sustenance. Purchase details (including discounted rates for both this title and The Qur’anic System of Sustenance) can be found if you scroll to the end of this post. Without further ado, here is the Foreword. This booklet is of special significance to me. It is directly responsible for the publication of my first book, and indirectly for my second as well. Indeed, this short publication can be credited for practically launching my writing career. Avid readers of Pakistani history will know that Chief Justice Muhammad Munir’s From Jinnah to Zia (1979) is said to be one of Pakistan’s all-time best sellers. This is because Munir was the first to openly declare that M.A. Jinnah, founder of Pakistan, was a ‘secularist’ (i.e. he advocated the separation of religion and state as in modern democratic states). Coming as it did from a former Chief Justice, this declaration carried much weight for Pakistani readership, and indeed, as Munir testified in his book, across the world the as well. G.A. Parwez, who had known Jinnah personally and had been his counsel on matters relating to Islam, wrote a rebuttal in Urdu in 1980 soon after the second edition of Munir’s book was released. The English translation of that text can be found in the following pages. However, the original rebuttal missed one vital piece of information; and since this missing information was the catalyst for some completely new and important research I conducted some twenty-five years later, I would like to share the details for the benefit of the reader. I originally came to translate this booklet not for Tolu-e-Islam, but for my father. In 2003 he had published a book titled Quran aur Pakistan (Sheffield: Bazm-e-Ilmofunn), containing his own Urdu poetry alongside a collection of G.A. Parwez’s writings, and the text of this booklet appeared as one of its chapters. My father and I worked together on the English translation, and in the course of crosschecking the references, I obtained a copy of From Jinnah to Zia. This was when I first noticed a quote not accounted for in Parwez’s rebuttal. However I found that Munir had actually relied on not two, but three pieces of evidence. The third and most important piece of evidence that Munir produced (and which he cited several times for emphasis) was Jinnah’s interview to Reuters, dated 21 May 1947 (dated incorrectly in Munir’s book as 1946). In this interview, Jinnah supposedly said that he envisioned Pakistan as a ‘modern democratic state with sovereignty resting in the people’ (Munir 1980, p.29). He stressed that the words were at odds with the Objectives Resolution, which states that ‘sovereignty rests with Allah’. At this point, since Parwez had not addressed the quote, I decided to try and find the original source to look at the context in which it might have been used. When I did obtain it around a month later, it emerged that not only was the date wrong, but the quote was actually a fake. Since that time, I have referred to it as the ‘Munir quote’. This was just the beginning of my journey in learning about the Pakistan story. At first I intended only to write an article on this quote, but I had underestimated the significance of what I had uncovered. Munir’s quote, along with the two pieces of evidence that Parwez had highlighted, had long become a formulaic argument copied virtually verbatim time and again by every kind of writer, from the journalist to the historian, and accepted blindly as fact, without question. No one had thought to check on the original source and in fact no one even seemed to know or care as to where it originated. My first book, Secular Jinnah: Munir’s Big Hoax Exposed (2005) was the unexpected outcome of my first round of research, and here I wrote that the original source was probably Munir’s From Jinnah to Zia. But I was later to discover that this was not the original source of the quote. At any rate, my book was short and it hardly touched on Pakistan’s founding history. Over the next five years, my research continued and intensified, and I resolved to release a revised edition containing, among other things, updated information on the misconceptions about Jinnah and the Pakistan story. Instead I ended up writing an entirely new book. This was a complete political biography on Jinnah which also covered my updated research on the Munir quote. By the time I released Secular Jinnah & Pakistan: What the Nation Doesn’t Know in 2010, I had learned that the Munir quote had its origins not in Munir’s 1979 book, but in another famous publication authored by Munir: The Report of the Court of Inquiry Constituted under Punjab Act II of 1954. It is better known as the Munir Report, since it made Munir a celebrity and he became Chief Justice of the Federal Court soon after the inquiry ended. Following the Munir Report, the first time that the fake quote was used as supporting evidence for a secular Pakistan was in Pakistan’s Constituent Assembly in August 1954. This quote had never been cited before, simply because it didn’t exist; and so this was the first time that the secularist politicians of Pakistan succeeded in silencing their opponents outright. Thereafter Munir’s quote was accepted as a legitimate piece of evidence for fifty years. As for Quran aur Pakistan, although we began its translation in 2004, we were unable to publish it due to technical issues, and subsequently this also delayed the publication of this booklet for a long time. I am happy to know that the booklet at least is finally going into print. It may be one of Parwez’s lesser known works, but without it, the Munir quote may not have come to light for another fifty years. For that reason, it certainly has great historical value; but to me personally, for my own reasons, its worth is immeasurable. Did Quaid-e-Azam Want to Make Pakistan a Secular State? Published by Islamic Dawn Society and Tolu-e-Islam Trust in association with Libredux Publishing. Translated and edited by Saleena Karim & Fazal Karim. This booklet is Ghulam Ahmad Parwez’s rebuttal to Chief Justice Muhammad Munir’s bestseller, From Jinnah to Zia (1979), containing ample evidence from Jinnah’s written statements and speeches to counter Munir’s claims that Jinnah was a secularist. As one-time counsel to Quaid-i-Azam M.A. Jinnah on matters pertaining to Islam, and as one of the few who could visit him without an appointment, Parwez was in a position to speak with authority on the founder of Pakistan’s political convictions. Here it is. At last, the book that started my writing career has gone into print. (You have no idea how long I have been waiting to publish this book.) It’s the translation of Kya Quaid-e-Azam Pakistan ko secular state banana chahte tai? (lit. Did the Great Leader want to make Pakistan a secular state? For those of you who don’t know, Quaid-e-Azam was an honorific title used by the Muslims of colonial India to refer to M.A. Jinnah, the constitutional lawyer who eventually became the founder of Pakistan). I was originally going to explain the full background of how this book links to my work in this post, until I realised that the foreword of the book does exactly that. It’ll be reproduced in my next post. But in brief: Parwez wrote this booklet in 1980, as a rebuttal to Chief Justice Munir’s From Jinnah to Zia (1979). Munir had argued that Jinnah was a ‘secularist’. Parwez aptly countered the claim, but he overlooked a certain statement attributed to Jinnah – one that would finally be exposed as a fake 25 years later by yours truly. For a short time, you can get this book – and also the The Qur’anic System of Sustenance – at 25% discount. Details follow. This is a quick note to let you know that another translated title is going into print from tomorrow. It’s the English translation of a short Urdu book on MA Jinnah, written by GA Parwez in 1980. It also has special significance to me. I’ll explain tomorrow. Ghulam Ahmad Parwez was without doubt one of the greatest minds of the last century. In his time he was misunderstood and deemed a heretic in his own country, and his essentially rationalist approach was viewed with much suspicion in the Muslim world. Since his death in 1985 however, his popularity has steadily grown both in Pakistan and across the world. The full impact of his work has yet to be properly assessed and appreciated. My father (Fazal Karim) and I feel honoured to have had the opportunity to translate Parwez’s seminal work, Nizam-e-Rabbubiyat, into English. The Urdu title literally translates to System of (Universal) Sustenance, but over the years among those discussing his work in English it has wrongly been referred to as the ‘Qur’anic Economic System’, which is not only a misnomer, but also exposes a gross misinterpretation of Parwez’s thought. Although this book discusses communism and capitalism in light of Qur’anic principles, and, notwithstanding the fact that Parwez describes this book as a ‘monograph on the subject of economics’ , it is fair to say that it does not, as such, present a purely economic system with the mere aim of meeting material needs. Whereas the very word ‘economy’ implies an acceptance of the scarcity principle, the Divine principles of sustenance cannot be characterised together as ‘economy’, being based on the Qur’an’s self-attested principle of ‘abundance’. Nor should the Urdu word nizam (system) in the title be taken to mean a closed system. On the subject of the word deen (usually translated as ‘religion’), Parwez has stated elsewhere that whilst ‘way of life’ (or ‘system’) is the closest meaning of the Arabic, even this is insufficient. Deen certainly is a systemic word, but it does not literally translate to ‘system’. Since (to paraphrase Parwez) Islam as a deen equates to the Divine process of sustenance (Rabbubiya) at work throughout the universe,  his chosen Urdu word nizam likewise does not point to a fixed system, but to a set of principles taken together as a whole. Moreover, this book is really an attempt to delineate the Qur’anic method of meeting human needs in their entirety – both material and ‘spiritual’. Parwez himself remarks in Chapter 4: ‘Meeting our physical needs is a means to an end, and not an end in itself’. Again in Chapter 8, he writes: ‘The higher purpose of the Divine system of sustenance is not just to meet the physical needs of people. Indeed, meeting physical needs is only a rudimentary and superficial aim. From the Qur’anic perspective this is only a step in the direction of life’s true purpose, which is to develop and perfect the self, and this can be achieved only by enacting the principle of universal sustenance’. In short, Parwez has tried to show that the Divine system of sustenance not only serves to rewrite the generally accepted rules of economy, but also those of human society, and by extension, of reality. While there are those who would view Parwez’s views as utopian and unrealistic, he was inspired by the Qur’anic line that it is all ‘easy for God’ (as mentioned in Chapter 8 of this book) – suggesting that what may seem difficult in view of humanity’s present mindset would in fact be very easy for a nation that understands the Divine Message. This is a translation of the 1978 edition with minor editorial revisions and additions made by the translators solely for the purpose of clarifying the content of the main text. We have also added footnotes (all marked Translators’ note), again to either expand upon or clarify statements made in the original Urdu text. The chief difference between the original 1955 and 1978 editions was the addition of some appendices by Parwez, namely: Islami Socialism (Islamic Socialism), 2) Jahaan Marx Na-Kaam Reh Geya (Where Marx Failed), Mao Tse Tung aur Qur’an (Mao Tse Tung and the Qur’an: A Comparison) and Riba ke Behs (The Debate Over Interest). As these titles suggest, Parwez wrote these appendices mainly to address communism, which was still operational in both Russia and China at the time. Since then communism has essentially failed worldwide (even China, while technically remaining a communist state, is behaving increasingly like a modern capitalist state in practice), and so the content of these appendices is no longer relevant to the present economic climate. For this reason we have not reproduced them. However we have translated two important sections on zakaat and riba from the third of Parwez’s appendices, Riba ke Behs, and included it as a short additional chapter, inserted before the Afterword. When it comes to quotes from the Qur’an, we have taken the liberty of inserting well-known English translations (slightly edited to modernise the English) wherever Parwez has referred to particular verses and reproduced the Arabic. Parwez’s approach (as he explains in his Preface to the 1978 edition, also reproduced in this book) was to translate meaning for meaning (exposition) rather than translate literally word for word. This is because literal translations sometimes fail to convey the full meaning of the Qur’anic text – a fact universally acknowledged by all translators of the Qur’an. Nevertheless, wherever the meaning of Parwez’s expositional translation is close to a traditional version, we have seamlessly combined the two. This has the added benefit of showing the reader how to better understand literal translations. At other times, Parwez’s expositional text is either included in the main text immediately following the traditional quotations, or occasionally part of it appears in footnotes. We would like to express our heartfelt thanks to Mr Maqbool Mahmood Farhat of Ilford, Essex, who went to a great deal of trouble in locating the vast majority of the references in this book. Some of the works were not fully referenced in the original Urdu text, which made the task of locating them that much more difficult. To Mr Farhat goes the credit of saving us much time in this area. Finally, it goes without saying that no translation is ever truly perfect, and so we end by saying that any deficiency in this translation is ours and ours alone. See Parwez’s Preface to the 1978 edition. In fact it seems he wrote this line only because he had added three appendices on economic subjects. See end of Chapter 1. Recently I announced that Libredux Publishing was about to release a book in collaboration with another organisation (Tolu-e-Islam, Lahore). The book is out now in paperback, and its title is The Qur’anic System of Sustenance, the long-awaited English translation of G.A. Parwez’s Nizam-e-Rabbubiyat (1955). That makes it the second Libredux book with the word ‘system’ in the title. The book has just become available at CreateSpace, as well as at Amazon US and Amazon UK. I will reproduce the editor’s foreword in my next post. In the meantime, allow me to introduce its author. Ghulam Ahmad Parwez – not to be mixed up with the founder of Ahmadism, Mirza Ghulam Ahmad – was a non-sectarian Muslim thinker with a rationalist approach to Islam. He was born in British India in 1903 and was an activist of the Pakistan movement. He was an associate of Dr. Iqbal; and it was at Iqbal’s suggestion that he set up his monthly journal Tolu-e-Islam in 1938, which is still in print today. He was also an adviser to M.A. Jinnah, the founder of Pakistan. Parwez received a posthumous Tehrik-e-Pakistan (Pakistan Movement) Gold Medal for his services in 1989. But he is best known for his outspoken views on religion, which he considered to be the antithesis of true Islam – and an obstacle in the way of unlocking humanity’s full potential. Parwez wrote numerous books and articles, including the aptly-titled Islam: A Challenge to Religion (his only title originally written in English), a 4-volume lexicon of the Quran (Lughat ul Quran), and a 3-volume expositional and scientific translation of the Quran (Mufhoom al Quran). But perhaps his most important work was Nizam-e-Rabbubiyat (1955), which translates literally to ‘system of (universal) sustenance’. When my father and I translated this book, we changed the title to include the word ‘Quranic’ because the word Rabbubiyat is derived from one of the names of God (Rabb) in the Quran. At the time of its release, the book generated a lot of controversy. Some suggested that his book was a thinly-disguised communist manifesto, due to his anti-capitalist views and the fact that his proposed ‘system’ had a somewhat socialist bent. But in fact Parwez was opposed to both capitalism and communism on the grounds that they are purely materialistic and reject the spiritual (just as he was opposed to religion on the grounds that it is purely spiritualistic and rejects the material). Parwez said he was actually offering a Quran-inspired economic system as a third alternative to both. But was he really talking about an economic system? Not at all. It would take me far too long to explain why in this post – and anyway, it’s covered in the foreword that will appear here soon. But suffice it to say that what makes Parwez’s proposed ‘system’ different from capitalism and communism is that it is not confined to the material. In other words, it covers more than just economy. The ‘system of sustenance’ presented by Parwez should be understood in much the same way as I have described ‘Libredux’ in Systems – as an open-ended structure distinguished only by the universal ideals at its core. To borrow Parwez’s words, this type of ‘system’ is a means to an end, and not an end in itself. And what is that end? The answer is in this very post. Tell me if you spotted it. Postscript: To celebrate the launch of this title, it will be made available at a reduced price for a limited time. Details to follow in my next post.